Expat Medical Insurance will take care of your medical insurance needs regardless of where in the world you choose to travel, live or	work. As a reliable and well-known insurance intermediary we work with a variety of international insurers. This gives us an opportunity to provide insurance policies that fit individual customer requirements. In the past, most individuals traveling or living outside their native country feared major accidents, not receiving prompt and adequate health care, or having to support the financial burden of expensive medical treatment. 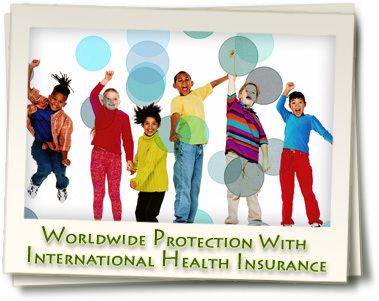 Our clients can have peace of mind knowing that no matter where you are and what has occurred, your international health insurance will take care of all possible angles. With international health insurance from Expat Medical Insurance, even terrorism and emergency evacuation can be covered in your comprehensive international medical plan. The increasing threat of terrorism is no longer confined to only certain parts of the world. Increasing media coverage surrounding acts of terrorism and the realization that it can happen on our doorsteps, has led to the growing interest of insurance coverage against acts of terrorism and war. In the world we live in today, even though it is not necessarily pleasant to do, people need have insurance coverage for all possibilities while living abroad. Terrorism insurance is another facet which can make this type of medical insurance a reality. As an insurance intermediary, Expat Medical Insurance is one of the first insurance brokerages to react to the unfortunate increase in global terrorism. As the world becomes more congruent and international insurance becomes more versatile, Neil Raymond, CEO of Expat Medical Insurance is sure that more people will need insurance plans which will provide coverage for acts of terrorism. Mr. Raymond believes that, the difficulty with providing terrorism insurance is that terrorism covers so many aspects. Sometimes terrorist groups take over entire governments, ensuring that their previous actions are classified as acts of war.In response to this, Mr. Raymond says in order, to provide the best possible coverage our plans not only cover terrorism but also acts of war. With Expat Medical Insurance, you no longer have to fear facing exorbitant medical bills and paying for insurance policies which constantly let you down. Insurance is about coverage and peace of mind by knowing that you are covered for all possibilities and it is for this reason that we spend millions of dollars a year insuring our lives, the lives of our loved ones, homes, cars, and possessions. So why take the risk of not being insured against terrorism? With Expat Medical Insurance's plans, you are covered for all acts of terrorism or war regardless of the country in which you reside. Expat Medical Insurance guarantees your safety and your medical coverage will be the last thing on your mind in a medical emergency. As the threat of terrorism surrounds us in ways which we have no control, as an Expat Medical Insurance policyholder, you can rest assured that you are covered even in the worst circumstances. 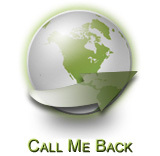 Copyright © 2009 - 2014 Expat Medical Insurace.All Rights Reserved.